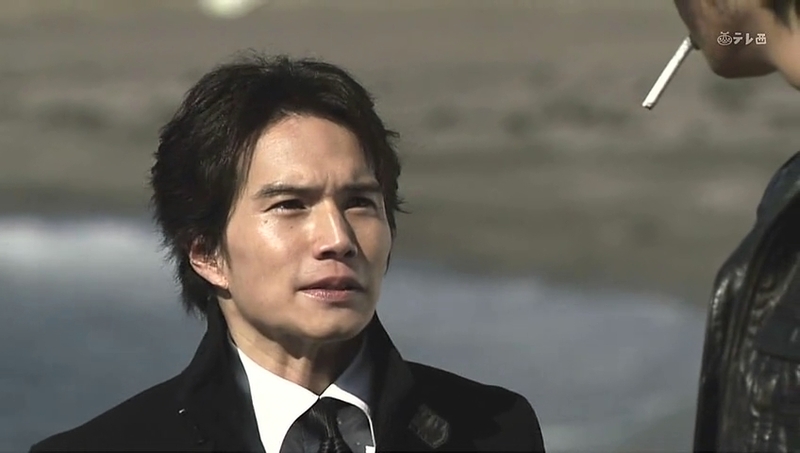 Irie is talking to Oguri about who attacked him. Apparently Suematsu was helping get food and when he sat down to eat, he immediately got sick and was hospitalized as well. Oguri asks if the younger servant is okay. Irie says that Suematsu is fine. Oguri then says he let the younger man rest in the annex that day and left the house himself on an errand for a customer at 4. Irie does the calculations and says that is too convenient as that left Bunzo home alone. It is entirely possible that the servants could have conspired against Bunzo. 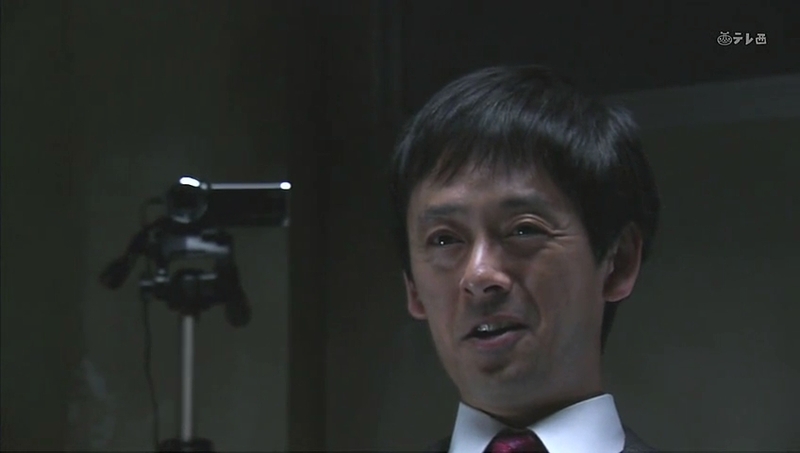 Oguri then says he went back after 30 minutes because he realized he forgot something. Irie yells and says it was lucky that neither he nor Suematsu was killed. 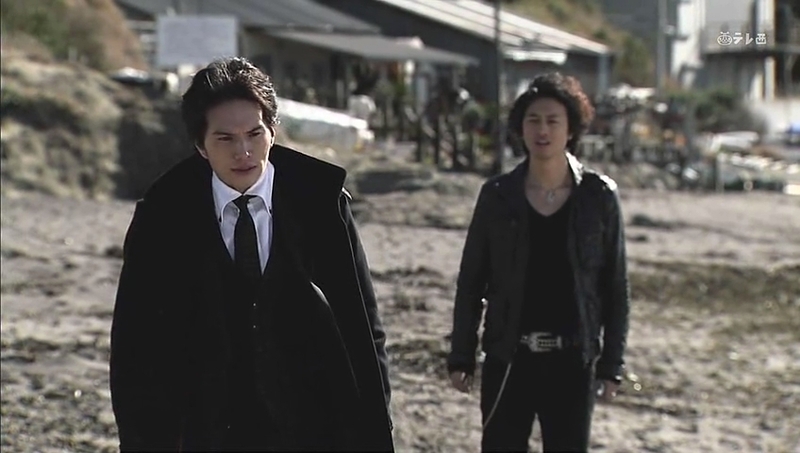 He then places the photos of the three brothers in front of Oguri and demands he identify his attacker. 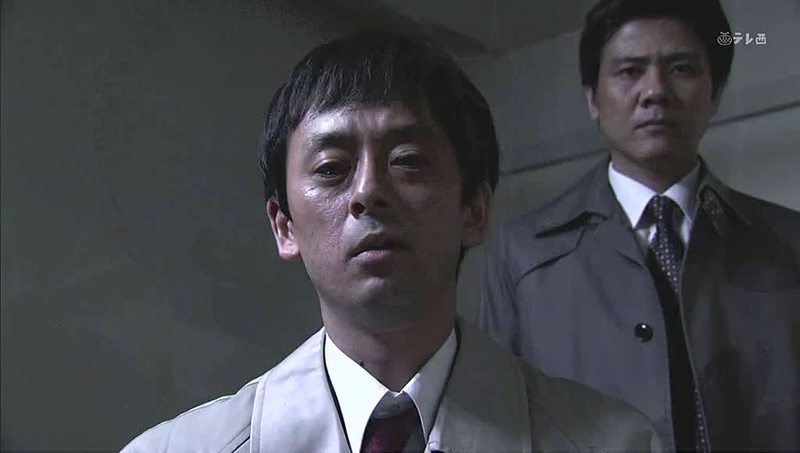 Oguri looks very troubled and his hand shakes as it rises. His finger points, but before it settles on one photo, he curls it back. 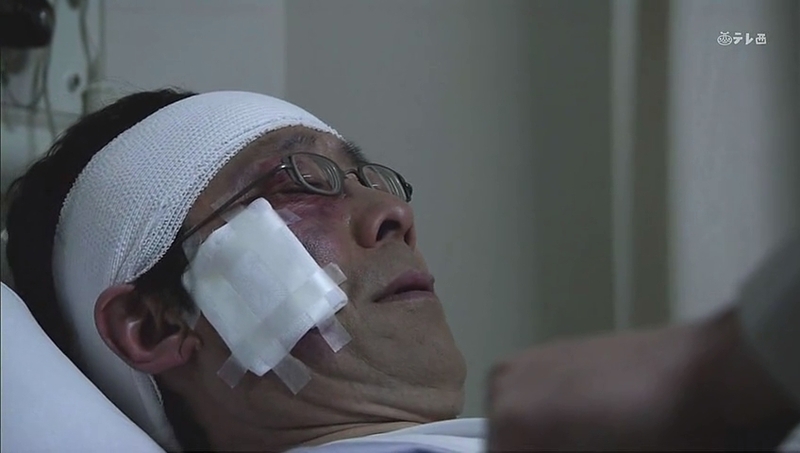 Now… is Oguri trying to save the boys, or does he really not recall who it was that hit him? We then cut to someone going in to an empty room in Bunzo’s house and flipping over a sandglass. What is the meaning to all of this? We then flasbhack to two days before the incident. Ryo is sitting downstairs eating breakfast when Bunzo comes down with Kurumi. Ryo looks very uncomfortable by this. Isao then watches from the stairs and shoots Kurumi a dark look before Suematsu sees her out. 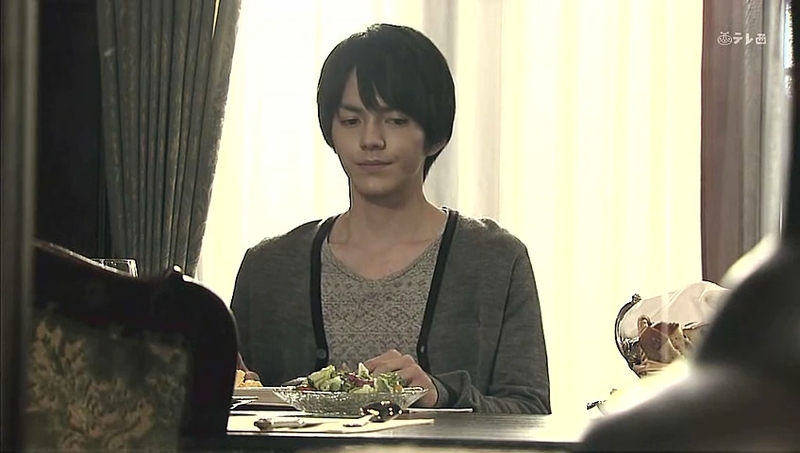 Isao then comes downstairs and asks Ryo if he’s heard anything from Mitsuru. Nothing. Nothing at all. Mitsuru wakes up and goes over to the kitchen where Kanako has breakfast prepared. Kanako makes inane conversation by saying she wishes to change the curtains to a brighter color and asks Mitsuru to go with her. Mitsuru agrees and Kanako keeps on chattering while Mitsuru seeks deeply into thought. 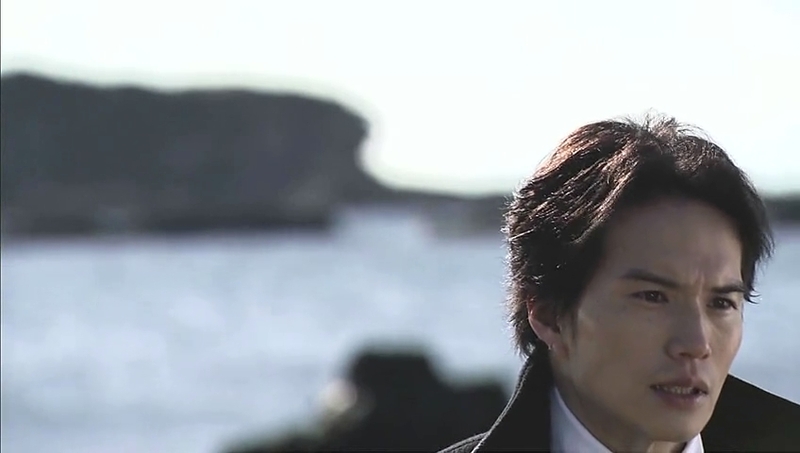 When Kanako calls his name, he shakes himself out of his thoughts and smiles. He then promises to measure the curtains later. 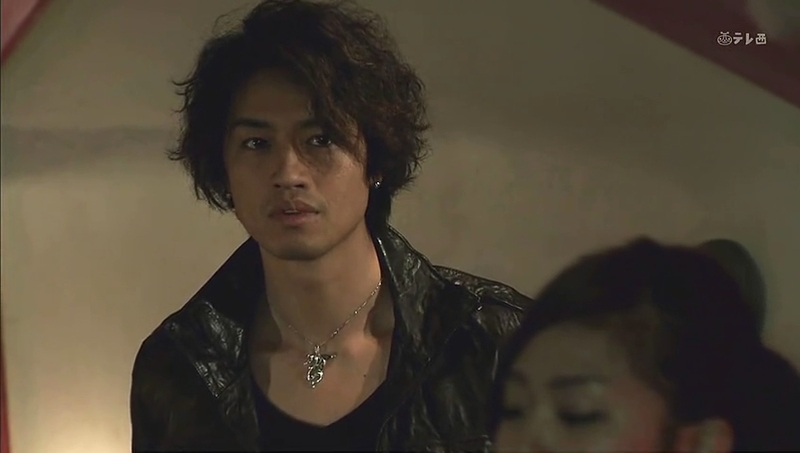 But his expression darkens again and Kanako looks worried. What is going on in Mitsuru’s head? Suematsu gets in trouble for overcooking Bunzo chicken before being sent away. Bunzo and Isao talk over finishing up the Sugiyama matter which Ryo overhears. Bunzo is happy to be done with Sugiyama and has more work for Isao. This surprises Isao—wasn’t the Sugiyama case the only one? Nope. Bunzo wants Isao to help him fandangle land away from the townspeople in order for him to build large, commercial properties. Isao goes upstairs, visibly upset. That night Mitsuru sits up drinking while Kanako sleeps. He keeps recalling Kurumi’s words about hell, and if her life would be different if she had something to protect. Suematsu goes into Ryo’s room and hands him a slip of paper with a servant’s name on it. That servant worked in the Kurosawa household right up to Shiori’s death and may know something about Ryo’s mother. This makes Ryo happy. He does, however, tell Suematsu to be sure to keep this a secret from everyone. Suematsu promises and leaves and we cut to the sandglass slowly trickling down. The day before the murder Isao and Mitsuru meet at the beach. Isao bows and asks for Mitsuru’s forgiveness over the Kurumi matter. Isao should have acted before things got that bad. Isao then straightens. There are tears in his eyes. Mitsuru may be right, he may have sold his soul to the devil. Mitsuru asks his little brother what’s wrong, but Isao lies and says it’s nothing. He then changes the topic back to Mitsuru—how has his older brother been since the incident. 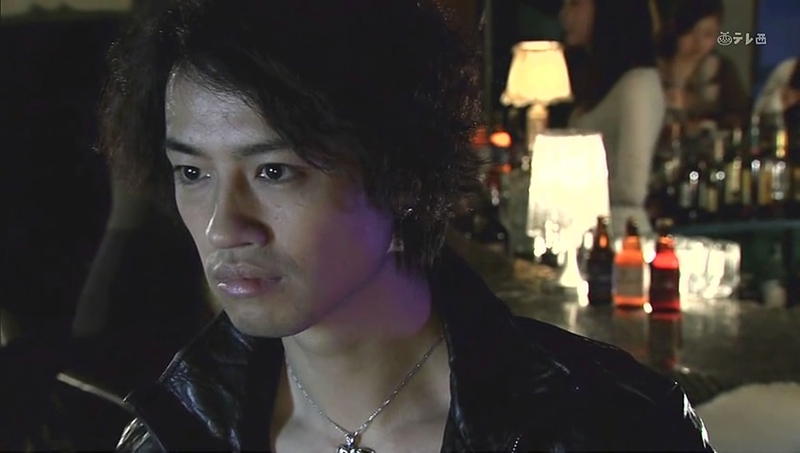 Mitsuru lights up a cigarette and says he’s always been unreliable and all he can do is just depend on Kanako. Isao then asks Mitsuru to do him a favor—don’t hurt Kanako. Mitsuru is free to live as he wants, so can he please show Kanako his good faith since Isao can’t help her any more. 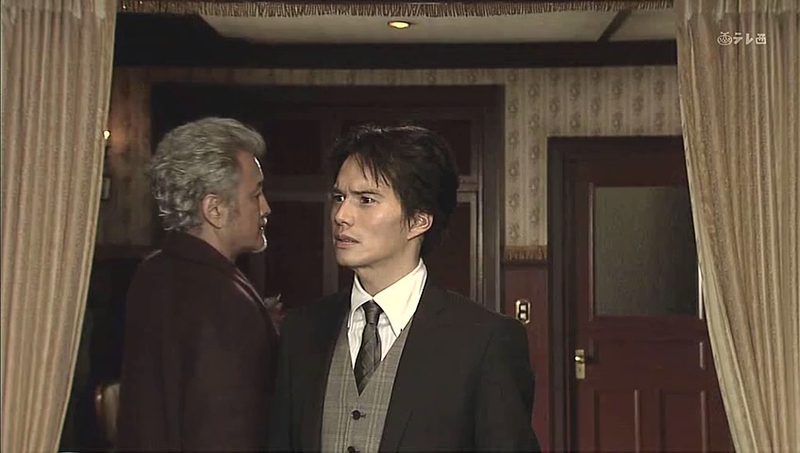 Mitsuru is surprised and tries to ask Isao if he’s in love with Kanako, but Isao cuts him off, ending their conversation. He turns to leave and Mitsuru calls after him and apologizes for being an unreliable older brother. Mitsuru goes to his secret place. Kurumi comes and he says that he’s surprised she showed up. What does Mitsuru want? Mitsuru sits up and says he wishes to clarify something—is Kurumi unhappy with herself? She has everything—men, beauty, and money—but to say what she did earlier… isn’t she lonely? Kurumi says that Mitsuru is very simple. She then tells her story. Her father was a kind man who turned his back on her when he got into deep debt. Since her life was ruined by money, she decided to make money her focus and use it and herself up. She goes to leave and Mitsuru grabs her arm—can’t he save her? Kurumi says he can’t as two lonely people together only become lonelier. Bunzo is playing baseball with wads of money. That may. What a… hedonistic pervert. While he’s doing this, his sons are all looking unhappy…well, except for Isao. The middle brother is writing with an evil smile about the time coming, the end being near, and a new world about to start. 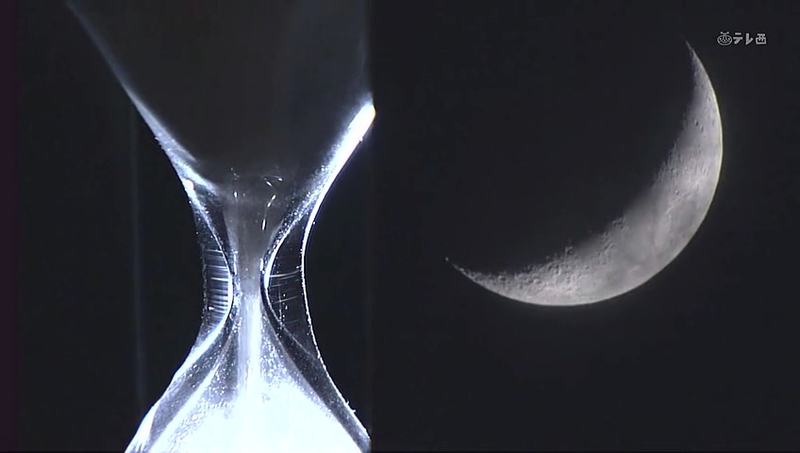 We then cut to the hourglass as the sand keeps getting closer to running out. 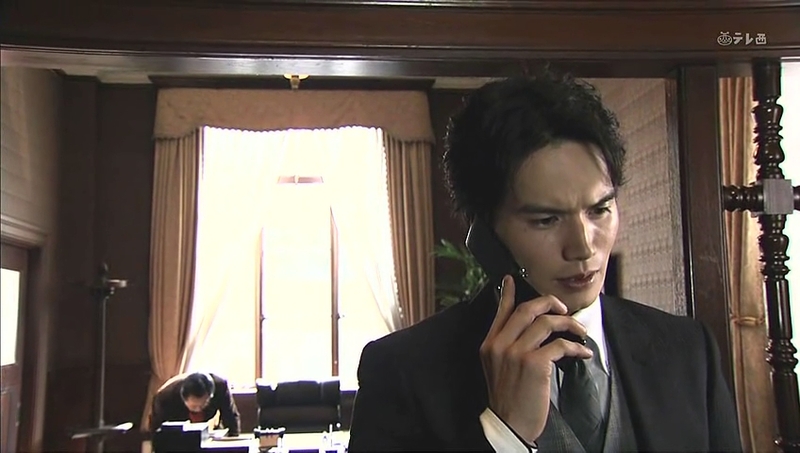 The day of the murder Isao finishes up the documents for a case when he gets a call on his cell. He answers it and it’s Kanako. He heads on over and Isao asks after Mitsuru. Kanako hands him a note he found that morning. 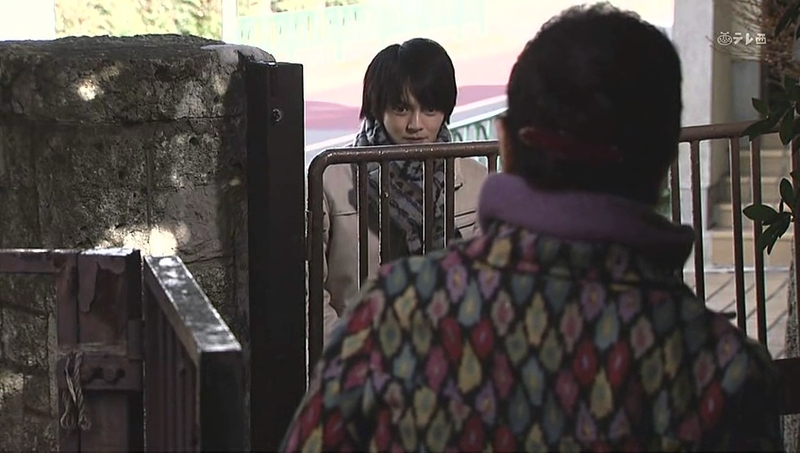 In it Mitsuru apologizes for leaving without a word, but he can’t stay there and bring her unhappiness. 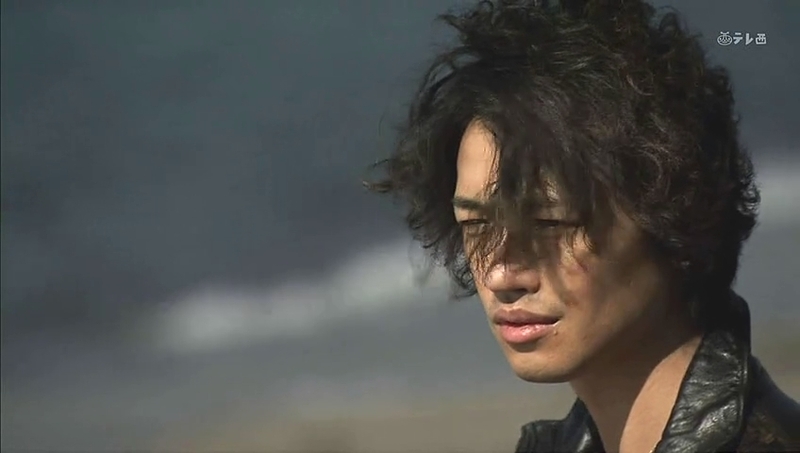 There is something he must do to change his life and he wishes Kanako to find happiness. Mitsuru then thanks her for taking care of him and promises to pay her back when he’s done what he needed to do. Kanako says that she had an inkling that Mitsuru had someone else on his mind. Isao remains silent. This confirms Kanako’s suspicions, but she says it doesn’t matter as long as Mitsuru returns to her in the end. She turns to face Isao—Mitsuru will come back to her, right? 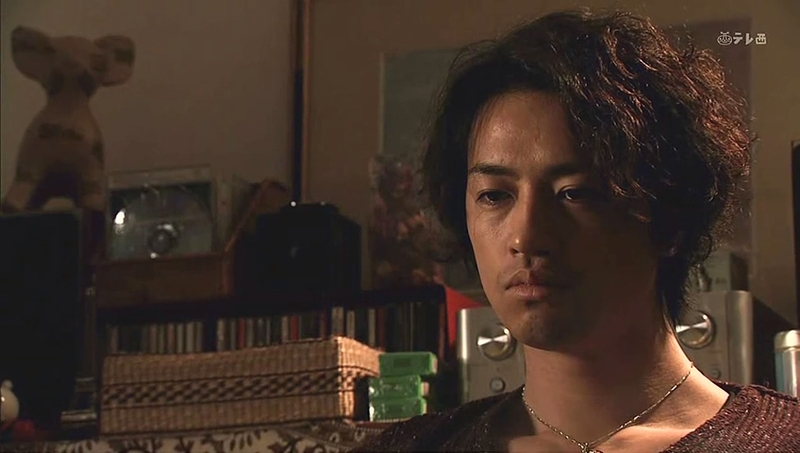 Isao says that his older brother does not have the means for the life Kanako wants. She knows that, doesn’t she? Kanako tears up and looks down. She can’t accept that. She then asks Isao to contact Mitsuru and make him come back. Poor Isao. He asks how Kanako could ask something of him like that. Kanako says that Isao is the only one who can help her. 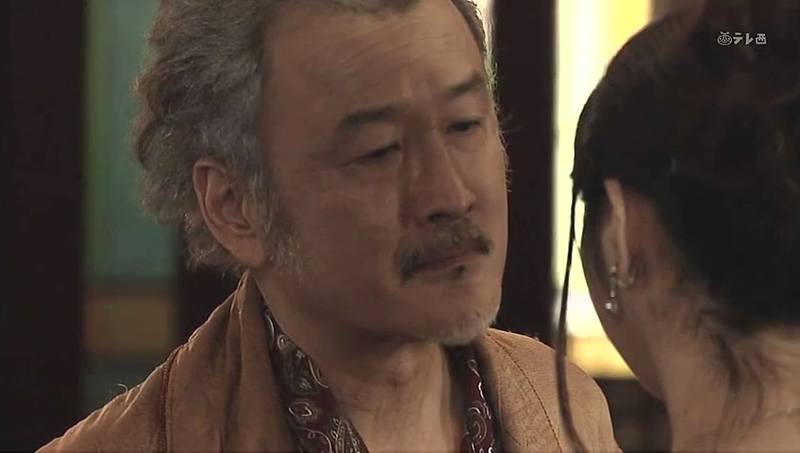 Isao says that isn’t true—Kanako knows how he really feels about her. Kanako knows that he can’t refuse her anything. She uses that to get back at Mitsuru, doesn’t she? Well no more. Isao, knowing that he can’t win her heart, can’t help her anymore. He hands back Mitsuru’s letter and leaves the apartment. Kanako just stands in shock with the letter in her hand. 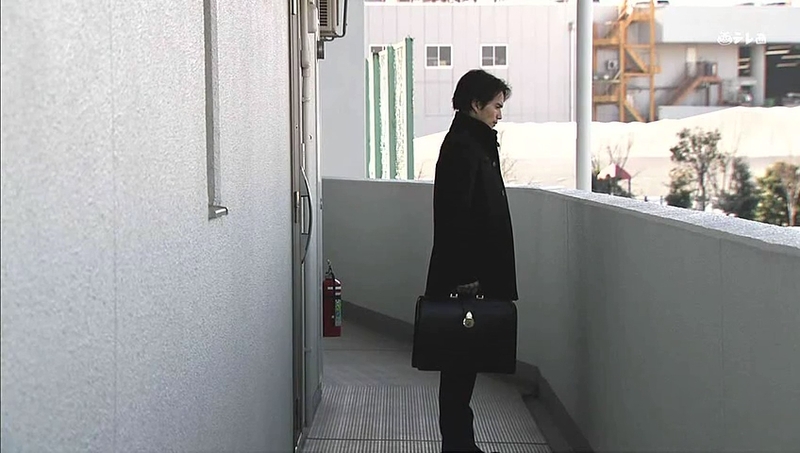 Isao stands outside the door for a little while before coming to his senses and leaving. Meanwhile, Mitsuru is trying to get in touch with Kurumi to no avail. 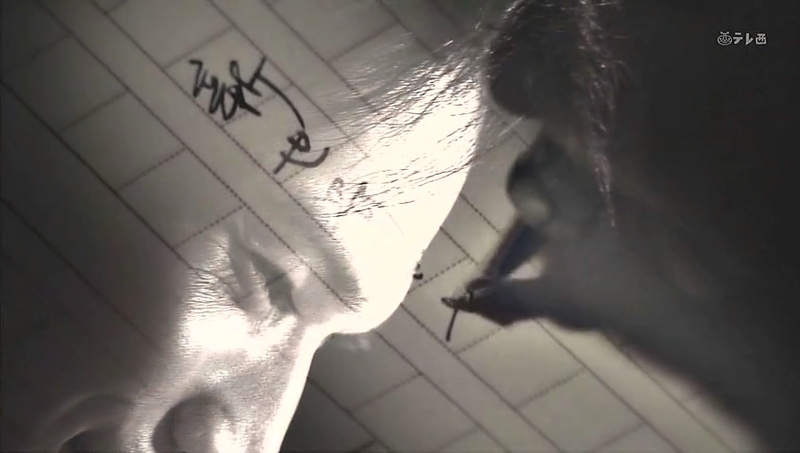 Isao goes to his father and hands him the information. He then says he asked the firm to send over someone else to help Bunzo. His father asks why he insists on going back to Tokyo, but Isao doesn’t answer this. Bunzo stands back and tells him to go ahead and leave. Isao is surprised, but tries to make his exit only to have Bunzo grab his shoulder (the one Isao always grabs) and telling his middle son t hat there is basically no way to escape him since Isao was born with his blood. Bunzo then lets Isao go while doing his evil laugh. Ryo finds the servant Suematsu told him about. She is living in a small, yet grand house. 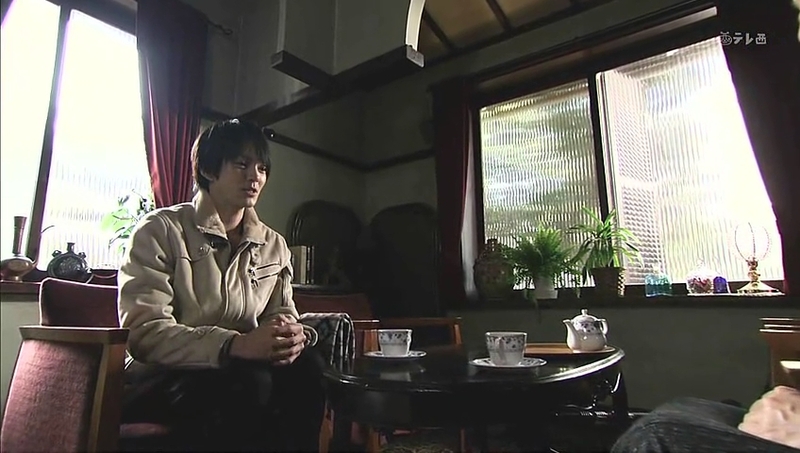 Ryo hesitates to talk as she pours tea. The servant starts talking first—it has been 20 years since she quit, so she doesn’t know if she can help Ryo. The youngest Kurosawa then asks after his mother. The woman replies that Shiori was very kind and the servant respected her from the bottom of her heart. Ryo then asks about the suicide. The woman’s face falls and Ryo says that he’s the only one in the family to not know anything since his older brothers protected him. He, too, wishes to know his mother’s pain and he begs the servant to tell him. She looks very uncomfortable at this. We then cut to the hourglass running out of time. At the Kurosawa house, Suematsu is bringing in flowers when Isao coldly leaves. Suematsu runs after him and Isao says he has permission to leave from Bunzo and will never return. Suematsu reminds him about the strain in Ryo’s and Mitsuru’s relationship. At this point, it’s only Isao who can keep the family from falling apart. 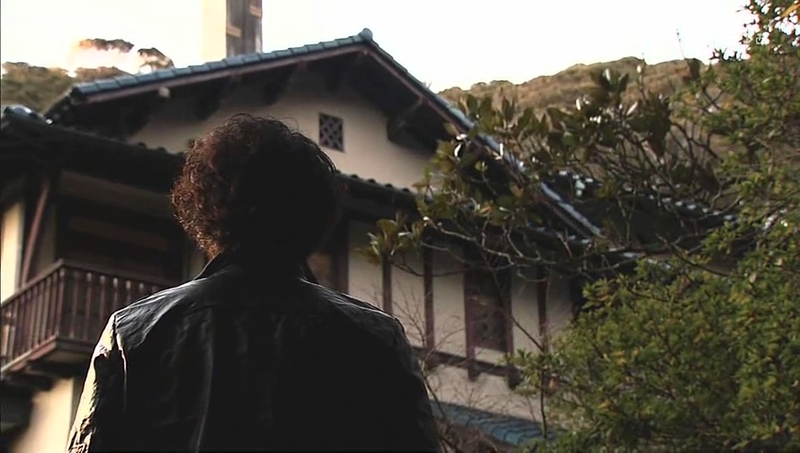 Isao says he doesn’t give a damn about the house and says he’s leaving everything in Suematsu’s care. He then takes off in a taxi to a construction site. When he gets out, he gets a call from Ryo which he answers. Ryo immediately says he’s discovered everything behind their mother’s suicide. This upsets Isao. Why did Ryo wish to know about that? Ryo says that it’s only natural that their mother went insane with their father forcing her to prostitute herself for business. 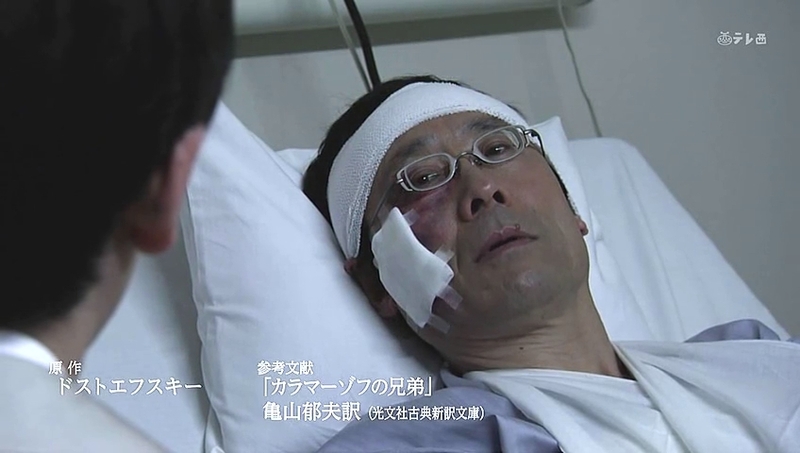 This seems to shock Isao… He knew something was wrong, but I guess he didn’t know the whole story. Meanwhile, the hourglass keeps dwindling down. Meanwhile, Mitsuru is desperately searching for Kurumi only to come up empty. He then puts in a call to his house. He asks Suematsu if Kurumi is there. Suematsu says she isn’t there, but Bunzo told him she would be coming to the house later that night. All the players are starting to converge. 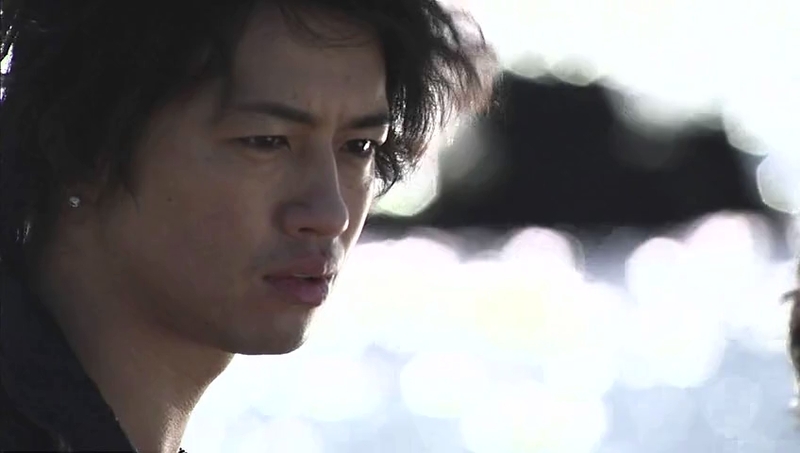 The angry Ryo starts making his moves to head back home as well. Isao, too, gets back in the taxi to head back home. At this time, the hourglass begins to runs out. We end the episode with Irie saying it was Mitsuru. We then cut back to Oguri pointing to Mitsuru’s picture. We then flashback to Suematsu getting sick after eating a sandwich and Oguri helping him out. The hourglass runs out and Mitsuru goes running out of the household. 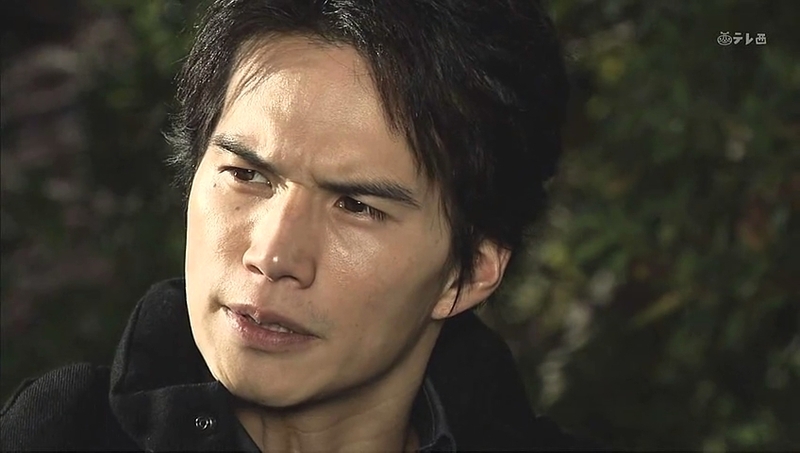 We then see Ryo discovering the body and Isao getting a call that Bunzo had been murdered. End episode. So what the heck happened? Is Mitsuru really the killer? I guess we’ll find out soon.